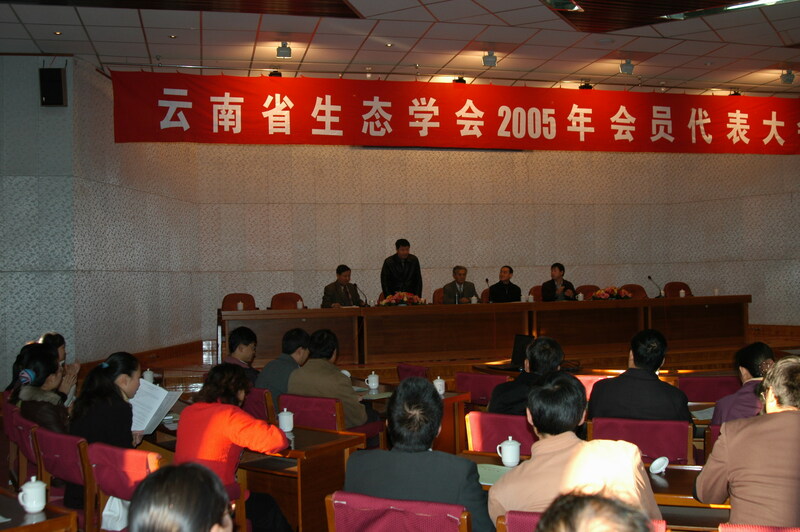 Annual meeting 2005 of Ecological Society of Yunnan was held in <?xml:namespace prefix = st1 ns = "urn:schemas-microsoft-com:office:smarttags" />Yunnan University, Kunming on December 10. Prof. Zhou Jun, academician of Chinese Academy of Sciences (CAS), and Prof. Xu Zaifu, chairman of the third Board of Ecological Society of Yunnan and former director of XTBG, were specially invited to address the annual meeting. Some well-known ecologists like Prof. Jiang Hanqiao and Prof. Yang Yiguang were present at the meeting. 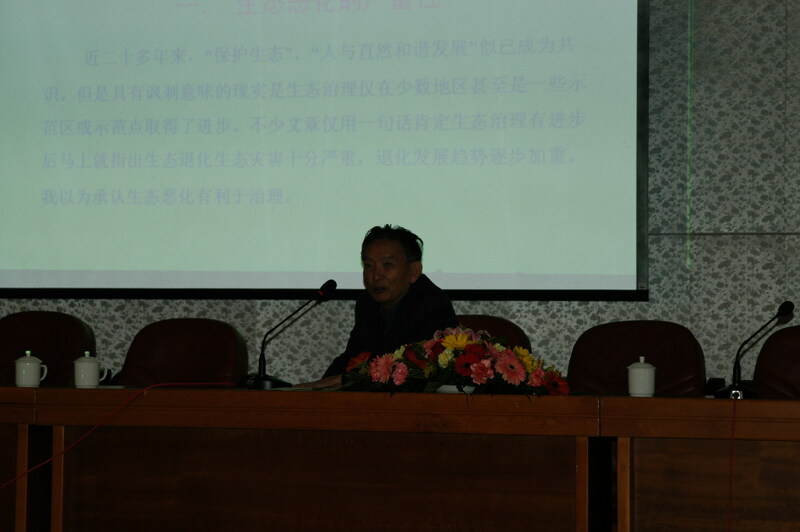 On behalf of the third Board of the Ecological Society of Yunnan Province, Prof. Xu Zaifu made a work report, presenting the achievements made in academic exchanges, public science education, and management of the Society, etc to the representatives. Some members of the Society were praised for their outstanding work from the year of 2001 to 2005. By polling, members of the fourth Board of Ecological Society of Yunnan Province have been elected. The representatives had a discussion on how to better make platforms for communication and contribute more to the ecological construction of Yunnan province by fully bringing their advantages into play. Prof. Chen Jin, the newly elected chairman of the Board, delivered a speech at the meeting. Fully recognizing the achievements made by the third Board, Chen put forward the key working points and directions for the future work of the Ecological Society of Yunnan Province.